The Art Center celebrates its 80th Anniversary by inviting our current community of class-taking artists, and faculty to reflect on the history of Hyde Park’s shifting categorization. Hyde Park began as a rural township, but by the 1893 World’s Columbian Exhibition was officially annexed to the city of Chicago. Located a mere seven miles south of the city center, Hyde Park maintains a small town vibe that can feel worlds away from the bustle of Chicago’s downtown. 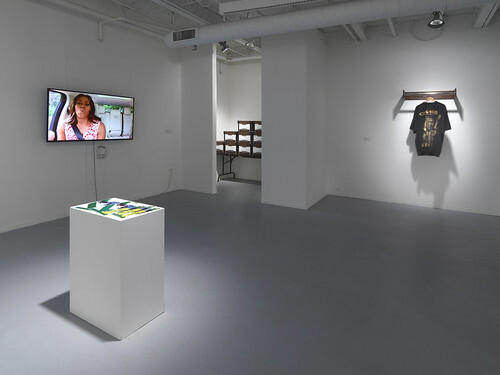 Curated by Curatorial Fellow, Audrey Moyer, the exhibition features painting, drawing, sculpture and print work that consider the qualities of urban, suburban, and the porous boundary between. 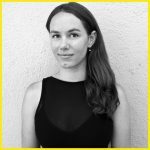 Audrey Moyer is currently the 2018-2019 Curatorial Fellow at the Hyde Park Art Center and an MA candidate in Art History at the University of Chicago. She founded and directed Favorite Goods, a project space located in Los Angeles’s Chinatown from 2011-2015. As an independent curator, she recently organized exhibitions at Angels Gate Cultural Center, San Pedro, CA; Species, Atlanta, GA; and The Sunroom, Richmond, VA. Additionally, she has worked with artists Charles Gaines and Vanessa Beecroft to produce museum exhibitions, performances, public art projects, and short films.